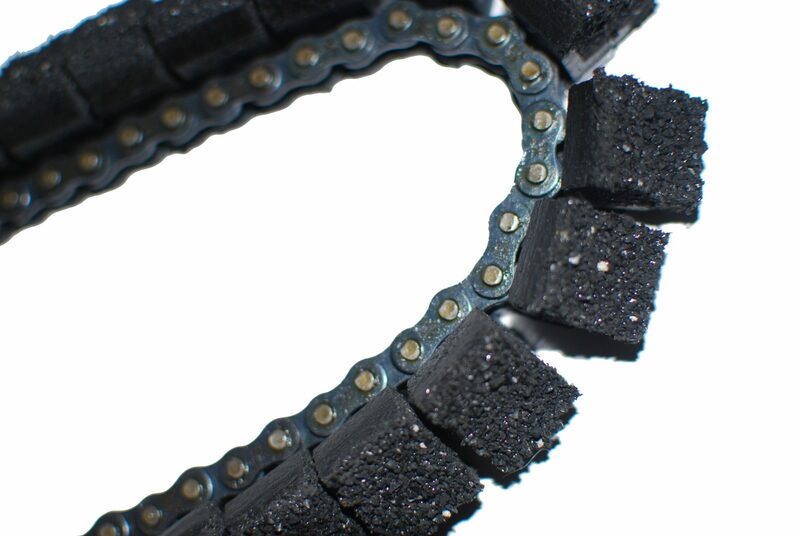 The RST Style 36 Cleat Gritted Tracks – #40 Chain (Pair) are the ideal replacement for your existing smooth RST tracks that go on your sewer camera transporter, so it can move within the pipe you are inspecting. 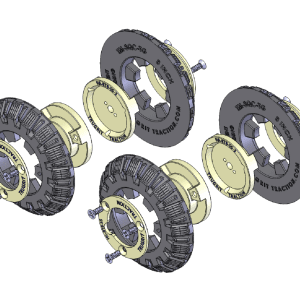 Sewer camera transporters allow your team to identify a variety of problems within a pipe like clogs, cracks, blockages, corrosion, breaks, and other damage. At TruGrit Traction, we provide our customers with high-quality materials that are built to last. 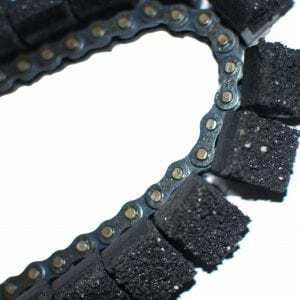 The RST Style 36 Cleat Gritted Tracks – #40 Chain (Pair) is a vital piece of equipment that ensures your sewer camera transporter will not lose traction in greasy and dirty pipe. We offer a variety of gritted tracks and we want your company to be confident in the equipment they are purchasing from us. 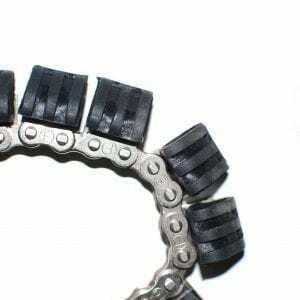 The RST Style 36 Cleat Gritted Tracks – #40 Chain (Pair) are an affordable replacement part your company can trust in. 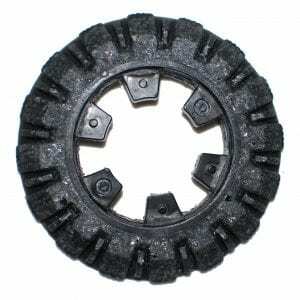 This product pertains to: Sewer Crawler Track Replacement, Sewer Crawler Gritted Tracks, Sewer Camera Transporter Gritter Tracks, Camera Transporter Equipment, Sewer Camera Inspection Equipment, Residential Pipe Inspection Equipment, Commercial Pipe Inspection Equipment, Sewer and Drain Inspection Equipment, Sewer Crawler Wheel Replacement Parts, Trenchless Camera Inspection Equipment, Cleats and Chains for Sewer Camera Transporters, Sewer Transporter Chains, Large Diameter Pipe Equipment, Sewer Crawlers Links, and Sewer Camera Transporter Track Parts.